Maria, a postulant nun is sent from the convent to become governess to the seven children of the widowed Captain von Trapp. She soon forms a bond with the children and teaches them singing. But with the threat of Nazi invasion, the Captain, his children and Maria have to make a daring escape from Austria. 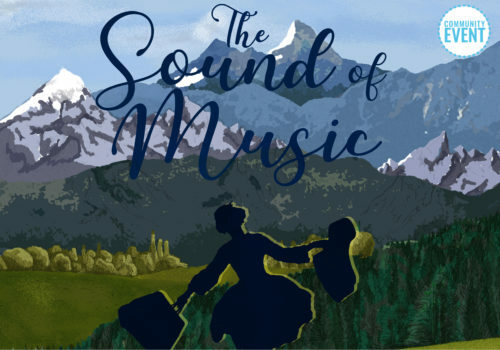 One of the most-loved musicals ever written (and based on a true story), The Sound of Music’s dramatic and heartwarming tale is powered onwards by a whole host of iconic songs such as “Edelweiss”, “So Long, Farewell”, “Climb Ev’ry Mountain” and “Do-Re-Mi”, all of which have become standards known and loved worldwide. An amateur production by arrangement with R&H Theatricals Europe. Tue 30 Apr at 7:30pm 7:30pm Book Now! Wed 1 May at 7:30pm 7:30pm Book Now! Thu 2 May at 7:30pm 7:30pm Book Now! Fri 3 May at 7:30pm 7:30pm Book Now - Limited! Sat 4 May at 2:30pm 2:30pm Book Now - Limited! Sat 4 May at 7:30pm 7:30pm Book Now - Limited! Tue 7 May at 7:30pm 7:30pm Book Now! Wed 8 May at 7:30pm 7:30pm Book Now! Thu 9 May at 7:30pm 7:30pm Book Now! Fri 10 May at 7:30pm 7:30pm Book Now - Limited! Sat 11 May at 2:30pm 2:30pm Book Now - Limited! Sat 11 May at 7:30pm 7:30pm Book Now - Limited!